Hosted by Orange County Iranian American Chamber of Commerce. & Business Showcase co-hosted by BABCOC and GABAOC. 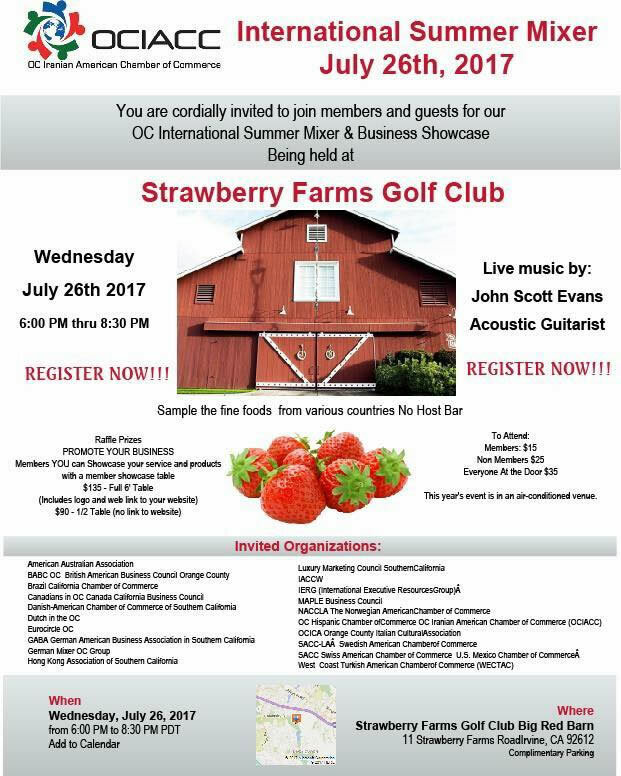 11 Strawberry Farms Rd, Irvine, California 92612.